From time to time sometimes there are emails that won’t delete from your iPhone when you are using Office 365 or Hosted Exchange. This doesn’t appear to be particularly related to this environment only and there doesn’t appear to be any permanent fix for it as at the date of writing this article. 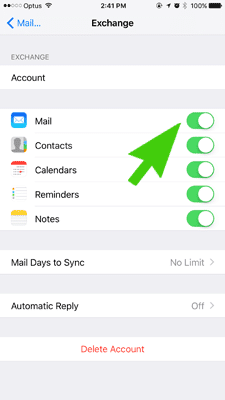 Here’s how to remove those annoying emails that won’t delete off your iPhone which you have already deleted using Web Mail or Outlook and get everything back in sync.